If you’ve tried to get out with your baby or toddler in a non-pram friendly environment, you will know that a baby carrier is virtually essential. And a carrier that can be used from newborn to toddler, with no extra inserts, that also looks great is just the ticket to getting out and about. Up there with a cot and a car seat for essential baby purchases, for me, has been my baby carrier. It has been used time and time again for each of my three children, for settling when nothing else worked, for taking them out in places that were not pram friendly, for travel, for grocery shopping and for leaving the single stroller vacant should my toddler need to be strapped in and constrained. 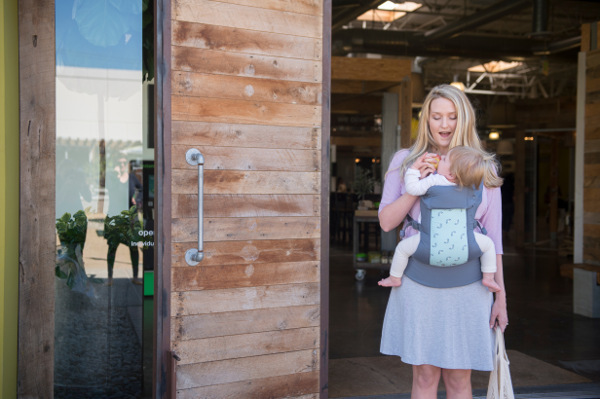 Beco are a California-based company who create baby carriers that are comfortable to wear, ergonomically designed for correct positioning of your baby, and beautiful to look at. 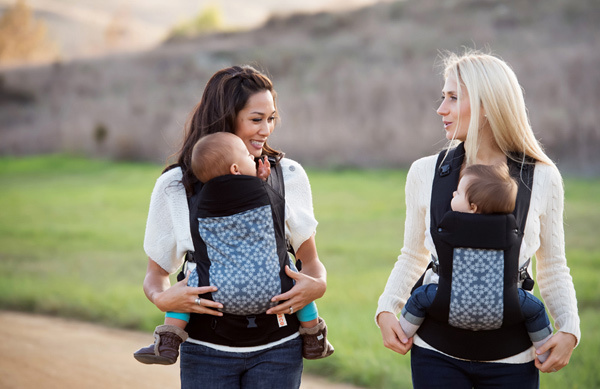 Their Gemini carrier can be used from newborn to toddlers weighing 16kgs. The fantastic design of the Gemini means that there are no additional inserts required for very young babies, simply fold the adjustable seat base into the narrow position and you’re good to go. 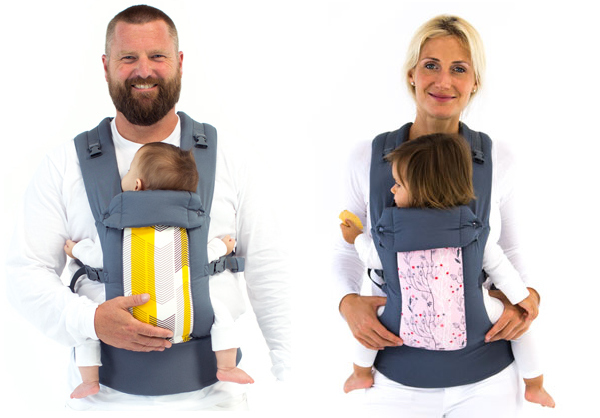 Because the Gemini is suitable for a wide age range, you can carry your baby or toddler in one of four different carry positions. As well as the traditional inward carry for small babies and those who need to be comforted or sleep, the Gemini also allows for forward facing carry for older babies for short periods as well as hip carry and back carry – both great for toddlers and older babies, and a favourite of mine for grocery shopping or getting some housework done with a grumpy baby. The Beco Gemini also has the innovative option of wearing the padded straps in the traditional way, or criss crossed over your shoulders, meaning that the fit of the carrier is comfortable for a great variety of different shaped carers. Additionally, Beco uses clever tri-lock buckles to ensure safety and prevent curious toddler hands from undoing the straps. All of these features come packaged in very stylish fabrics, with Beco releasing new designs and colours each year, as well as offering sleek black, espresso and charcoal. The Gemini carrier is available in Australia from Beco Australia from $169. They also stock a cute mini version and for just $30 it would make a cool ‘new baby sibling’ present.